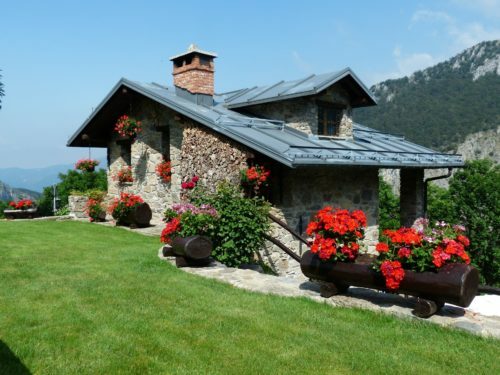 While there is no doubt a neatly manicured landscape helps beautify the look of your home the unfortunate reality of modern life these days is that most householders do not have time to maintain the landscape & grounds that surround their home or property. The last couple of years has seen many products released to the marketplace that claim to prevent weeds from growing in flowers beds and lawns promising to reduce maintenance time & guarantee a more hands off approach to traditional gardening & landscaping chores. Landscape Fabric is one of those products that many gardeners have been using in an effort to control the growth & spread of weeds. But despite this products popularity, the question remains does it really work? Is it worth installing? Today we are going to dig deeper into the pros & cons of Landscaping Fabric and along the way we’ll clear up some of the misconceptions about the use of this product. So, what is Landscape Fabric ? Landscape Fabric is made using permeable textile materials that cover the soil and allow water, air, and nutrients to penetrate through the soil. The material blocks the sunlight – which is an essential element needed for weed growth – therefore reducing the growth of weeds. The fabric itself comes in a seemingly endless variety of weight, size, design, thickness, and synthetic materials. Many different opinions exist regarding the use of this product as an effective method of controlling the weed growth. 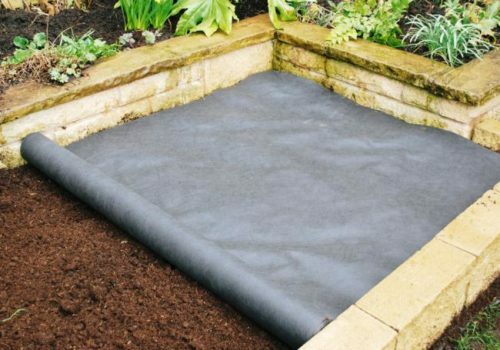 We’ve created a list of pros and cons to help our readers make an informed decision as to whether a particular landscape fabric is a suitable solution for your garden maintenance needs. If you have a new garden that you plan to plant with ornamental grasses, woody shrubs & tough perennials, you may have altered the soil with organic matter, and if so, then installing a landscape fabric is a wise idea. Installing the fabric for the first ten years will reduce soil erosion and weeds, giving you an easier time when maintaining the garden. After ten years you can remove the fabric as the plants will be large enough to hold the soil together and provide enough shade that kills most of the weeds. As we mentioned previously the landscape fabrics are constructed using sturdy textile materials. This means that they can remain in the soil for many years without wearing out. If you are working and plan to retire in the next ten years, installing a landscape fabric is very helpful when controlling the excess weeds. Another advantage of using the landscape fabrics is that they are effective in deterring pets from digging up fresh planting. Dogs and cats are notorious when it comes to digging up fresh planting especially in a backyard but installing landscape fabric will make it hard for them to dig up the garden, saving you a lot of time, energy and money in terms of replacement cost. 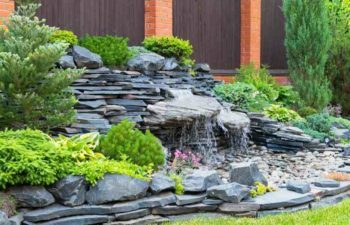 If your landscape comprises of steep hills and slopes, you probably have a lot of trouble when it comes to controlling erosion particularly after a large rainstorm. Although the fabric is porous in nature, it is very useful in controlling erosion on hillside gardens until plants root system is large enough to hold the soil on their own. Although installing landscape fabric is time-consuming it can save you a lot of money in the end. 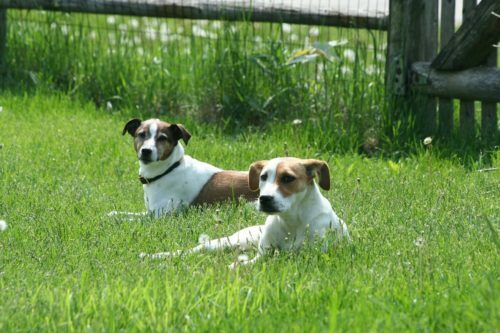 Costs of purchasing herbicides, erosion control as well as replacing dead plants dug up by your pet are minimized. 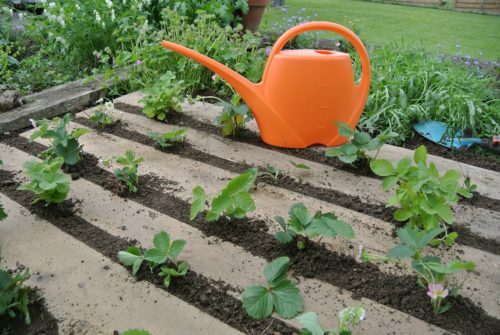 To have healthy plants, the soil must be crumbly and loose to allow for easy penetration of water, air, and nutrients. In addition, this allows plants to spread their roots to reach for water and other nutrients. Installing the fabric makes the soil compact making it hard to penetrate, making it difficult for water, air, and nutrients to reach the plant’s root. Additionally, soil that is compact is very hard to dig and plant. Landscape fabric reduces the weeds, but this does not mean that your garden will be completely weed free. Some weeds will still get through the fabric. Since these weeds have already meshed with the fabric, they become very hard to remove. In most cases, you would have to rip the fabric to remove them. The fabric materials usually contain petroleum plus other chemicals that are hazardous to the environment. Planting fruits trees, vegetables, herbs and other edible plants near petroleum products as well as other harsh chemicals makes them unsafe for consumption. Installing the fabric is time-consuming and tedious. If you make an error when installing the fabric, will do more harm than good. Additionally, removing them is a nightmare. In the same breath, the fabric will keep the organic matter from breaking down and being incorporated into the soil. Once the plants are mature, they often release seeds, which later develop into other new plants. 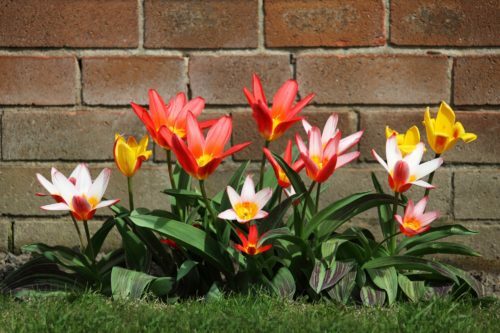 Other plants propagate in the form of bulbs. Installing the landscape fabric makes it hard for plants to re-seed as they prevent new seedling from penetrating through to the soil. 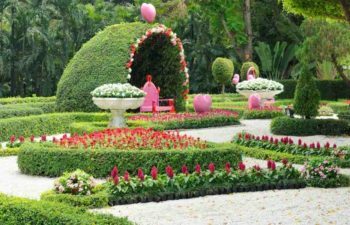 Additionally, the landscape fabrics will smother the bulbs, killing them every time they develop. 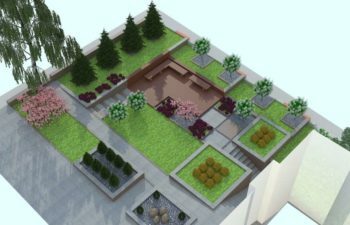 Like most gardening decisions, whether you should install a landscape will largely depend on the unique situation regarding the surrounding landscape. Sometimes, installing the fabric creates extra work while at other times it is an ideal solution. Look at the pros and cons listed above and determine whether installing them will fit your needs. Most importantly, note that installing the fabric is disastrous especially if you neglect the surface weeds. When these weeds grow through the fabric, removing them is not only strenuous but also time-consuming. Can you use the landscape fabric to control weeds in vegetable gardens? Truth be told, weeding a vegetable garden takes a lot of time, and new weeds sprout almost immediately after pulling the old ones. However, using landscape fabric will do you more harm than good. As we mentioned earlier, these fabrics are constructed using harsh chemicals such as petroleum products. These chemicals usually leach in the soil and are often absorbed by the plants. By so doing the vegetables will contain these chemicals making them unfit to consume. Additionally, you need to uproot vegetables such as carrots and onions before preparing them to cook. If the roots of the vegetables have gone through the fabric, they will be very hard to uproot. Similarly, installing the fabric makes it hard to weed the overgrown weeds in your vegetable garden. Our recommendation : We strongly advise not to use the landscape fabric in a vegetable garden or around any other edible plant. Are there other Alternatives to Landscaping Fabric? 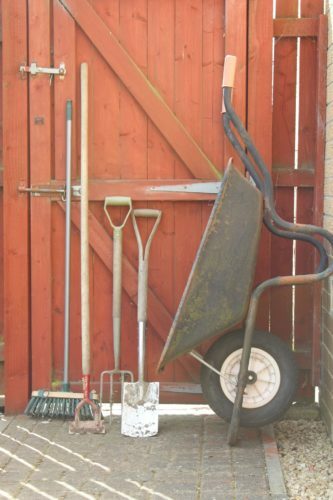 Ok so we’ve read how using an appropriate weed barrier reduces the growth of weeds in your garden, saving you energy and time. However, you need to select a proper barrier and install it correctly so that it does not interfere with the healthy growth of vegetables while reducing weeds growth. Here are some alternatives to using when controlling weeds. 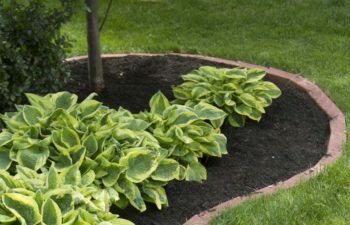 Organic mulches are biodegradable, and add nutrients to the soil at the same time controlling the weeds. Materials such as wood chips, bark chips, hops, hulls of buckwheat in layers of 3-4 inches provide organic mulch for your landscape. 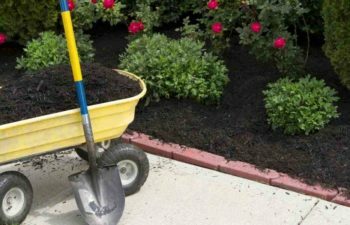 Most organic mulch materials require replenishing now and then. 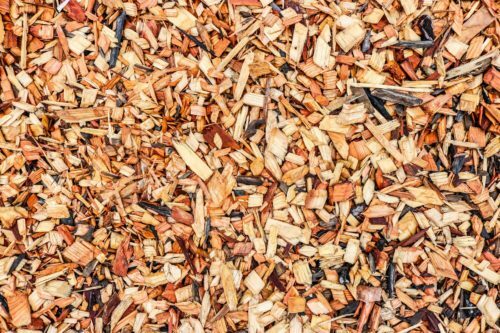 However, wood chips will take some time to breakdown, leaving you with organic mulch lasting more than a year. The main advantage of the inorganic mulches is that they provide a permanent solution. There is no need to constantly replenish them, as they are are not bio-degradable. However, ensure the use of natural materials that do not leach chemicals. 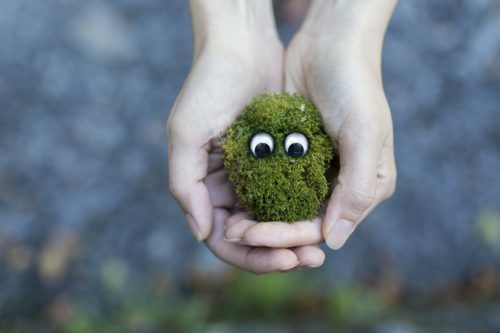 Some of the best inorganic mulch that you can use includes rocks or pebbles. The only disadvantage of these materials is that they are sometimes expensive to install. Besides, placing dark stones can cause overheating in soil especially in summers. 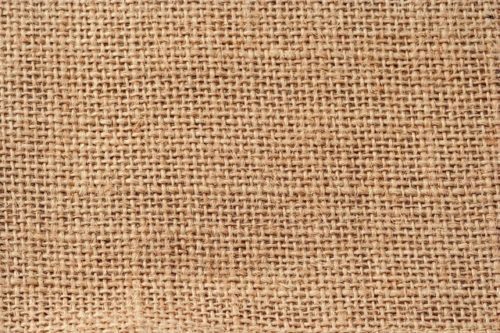 Burlap or newspapers are relatively inexpensive and will decompose after some time. 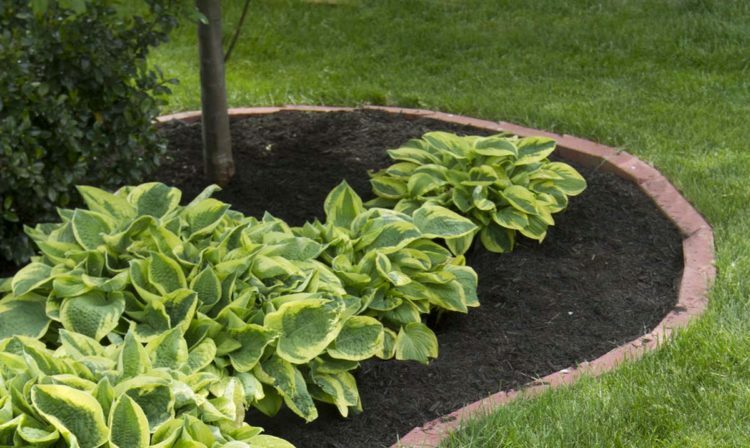 Placing at least three sheets of newspaper or a layer of burlap and then holding them in place using rocks provides you with sufficient mulch for at least one growing season. You can also use shredded newspaper as they allow more moisture to reach the roots. 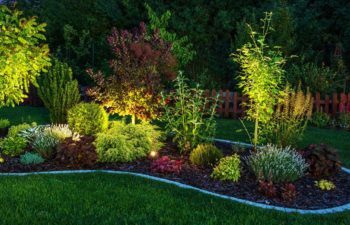 Another advantage of utilizing these materials is that they are potentially unsightly, meaning that your landscape will remain attractive. Caution; always use newspaper printed in black and white as newspapers printed with colored inks have a tendency to leach harmful chemicals. What is the Best Landscaping Fabric? There are very many landscape fabrics on the market making it hard for most gardeners to make the best choice. Remember not all products will give you the results that you need. 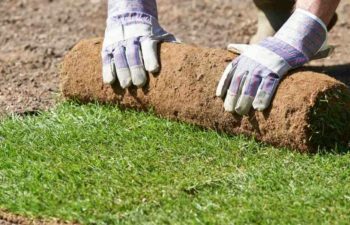 The best landscape fabric is constructed using hydrophilic fabric that lets nutrients, air, and water to penetrate while ensuring there is total weed control. Additionally, the best model should also be of high quality, durable and easy to work with. One of the durable landscape fabrics that stop weeds for years is the Dewitt brand woven landscape fabric. This product also has very many positive customer feedbacks and high ratings in many review websites. While weeds are not given a chance to grow, most landscape fabric are constructed using porous materials that allow water, air, and nutrients to go through. You just need to cut small holes in the fabric for you to plant seedlings. However, it is crucial to ensure proper installations for you to lay the material smoothly. Here is a step-by-step guide to help you in installing your landscape fabric. 2. 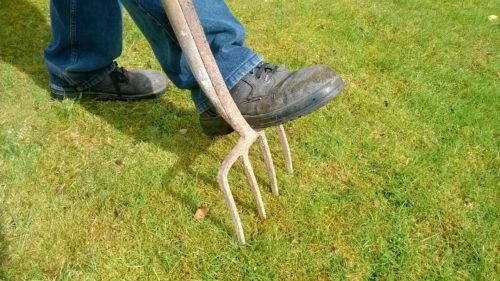 Use a tiller or a fork to turn the soil. Since you are going to cover the areas with the fabric add compost manure and other soil additives depending on what you want to plant. 3. Use a rake to flatten the area. Pick all the sticks, roots, rocks and other debris in the soil. Rake through the soil one more time and make sure all there are no crumbs. 4. Unroll a good landscape fabric brand such as Dewitt brand woven landscape fabric, which is constructed using high-quality materials free from harsh chemicals. Lay the fabric lengthwise on the garden bed, starting from one edge and work across. 5. Make sure that all the edges are folded up and cut it using a sharp utility knife so it fit the area. To avoid the weeds from squeezing in between gaps, cut additional pieces of fabric and overlap the pieces by about 12 inches. 6. If you have existing plants, cut slits in the fabric to accommodate them. Place the slit around the stem of the plant. 7. Make sure that the fabric is laying smoothly on the soil to avoid lumps or bunching. Use pins every foot to ensure that the fabric is securely laid out. Ensure that all the edges, as well as the joints where the fabric sheets meet, are secured with the pins. 8. Cut a sizable piece on the fabric in areas where you want to plant new plants. Dig a hole through the cut area and position your plant. Ensure that the roots are covered with soil and firm the soil around the stem. 9. Cover the landscape fabric with at least three inches of chips. Ensure that the wood chips are evenly distributed and avoid piling it against the stems of your plants. One of the drawbacks of using landscaping fabric is that it is difficult to remove. You will need to use tools such as utility knives, machetes, or hardware scissors and cut it small pieces, before removing it from the garden bed. Our opinion is that using the landscape fabric is not an efficient solution to control weeds. The fabric has its uses such as controlling erosion, but there are other better alternatives when it comes to controlling weeds. 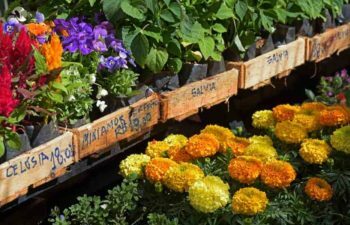 With time, they often cause many problems such as weeding issues as well as soil compaction that makes your plants to suffer. There you have it. We hope that this information will help you to make an informed decision when it comes to using of landscape fabrics. Please tell us what you think about the article. You can also share with us some of the information that you feel that we should include in this section.